What does the future have in store for my academic life? 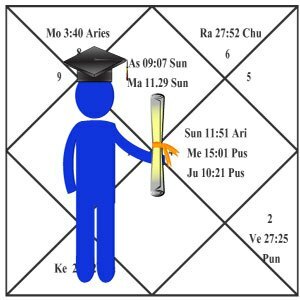 The main feature of your horoscope that have a bearing on your education, including your strongest talent and biggest weakness. What line of education suits you. How far you are likely to pursue your education. The auspicious and inauspicious periods in your academic life.